Turkey and thistle – For the fainthearted . . . Brilliant blue skies and vivid sunlight might easily have created an impression that the year had not reached an advanced stage, sun glasses and cool air in the car had a feeling more of August than November. The trees betrayed the date, almost bare of leaves, they stood skeletal against the autumn skies; the trees and a passing tour bus. The interior of the coach seemed bedecked with silver Christmas decorations. “Turkey and tinsel tour” announced a notice on the rear window; people seemed to have gone to a West Country hotel to spend a week in a mood of Christmas festivity. Christmas festivities have always seemed a mysterious phenomenon, excessive consumption of food and drink and a bonhomie that is absent for the rest of the year. What is it about Christmas that it can be used to sell hotel holiday packages in the middle of the low season? What is it that would take people to Cornwall to eat turkey in November? It is not as though there is anything religious in hotel dinners and decorated coaches. Are the journeys accompanied by the playing of Christmas songs and carols? Does Santa make an appearance during the week? Has Christmas become the only peg on which to hang a winter break? Why could the tinsel and turkey trippers not have gone on holiday just for the sake of going on holiday? Why does there need to be a reason to enjoy oneself? Doesn’t enjoyment merit being done for its own sake? 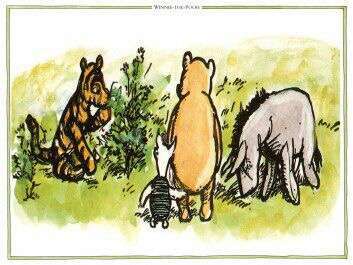 Eeyore led the way to the most thistly-looking patch of thistles that ever was, and waved a hoof at it. So he took a large mouthful, and he gave a large crunch. 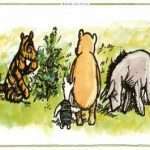 Pooh’s friend stopped shaking his head to get the prickles out, and explained that Tiggers didn’t like thistles. Winnie the Pooh holidays would seem no sillier than Christmas in November.